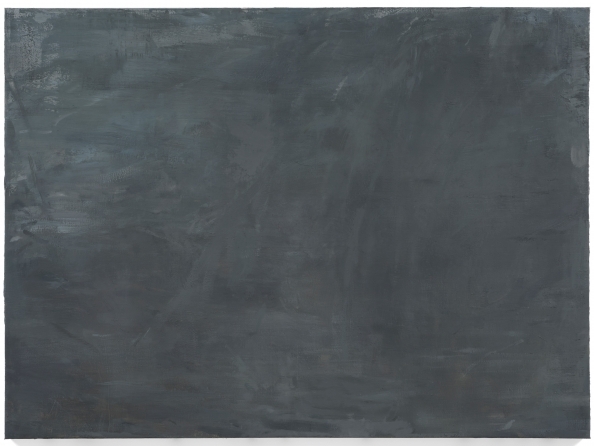 David Schutter, L LB dc 46, 2011-14, Chalk and crayon on paper, 13.375 x 9.375 inches. In 1784, French Royalist Antoine de Riverol delivered his Berlin Prize-winning lecture, The Universality of the French Language, from the floor of the German Academy. The content of his oration argued for French, with its rational order of “subject-verb-object”, as the natural lingua franca of Europe. By enumerating and consequently dismissing the traits he considered indirect in the other main European languages, de Riverol declared in a summation that risks the teleological, “What is not clear is not French.” David Schutter’s first exhibition with Rhona Hoffman Gallery examines persistent forms of French painting from the mid 17th to the mid 19th Century as bearers of incumbent significance on how the syntax of painterliness is repeatedly defined, or defiled, according to historic French handling of space, materiality, expressive gesture, and the descriptive touch of the painter’s hand. These traits incorporated form a kind of lingua franca of modern painting that may have cycled painting’s historical language toward greater clarity and nuance, but perhaps at the risk of being collateral in a teleologically bound system. The sources for Schutter’s project, which the artist studied firsthand, span across an illustrated manual the French Academy drafted in the 1650s to codify its painter’s representations of emotive facial expressions; the muted, yet indulgent, poetic space of the Rococo period; the work of a still life painter lauded by Diderot for his tactile effects of perceptual immediacy; Salon painting of the Barbizon era; the dark space of the Romantics; and the advent of signature brush handling in the early French modern. Schutter has “re-made” each of these source subjects in a 1-to-1 scale with like materials and without aid memoires, resulting in objects of inquiry that are both familiar and estranged. Less a test of memory, Schutter’s practice is more a phenomenological study that discusses the distances and problems encountered when making a painting. The works in the exhibition are as much performative re-enactments of the sources as they are discreet paintings and drawings, and as such form a painter’s repertory of extended rehearsals that ruminate on the disturbing recurrence of form over content. 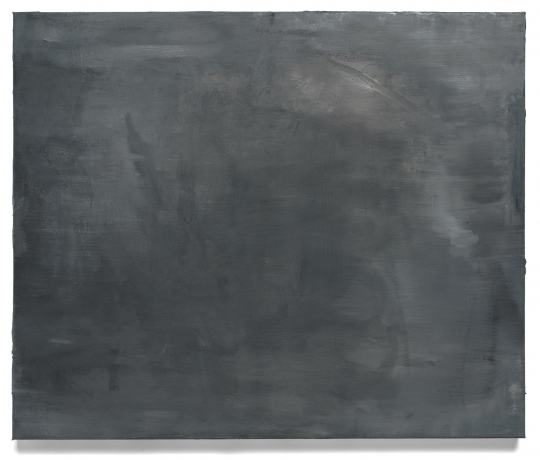 The investigations of David Schutter are not homage, but instead are a way toward understanding the continued expectations that paintings function along historical values. In his approach to his subjects, Schutter locates his practice within the traditions of philosophical inquiry by beginning with the surfaces of things. His questions illicit responses to how we re-stratify our knowledge of the past while developing representations of the present, how we can uncover circumscribed categories and make new knowledge from the experience, and how repeated questions come to be ultimately forms of description in a world where the past is often a difficult and arguable anteriority. 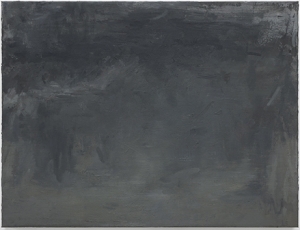 David Schutter has had solo exhibitions at the National Gallery of Modern Art, Scotland; the Gemäldegalerie Berlin, Germany; the Museum of Contemporary Art, Chicago; with Aurel Scheibler, Berlin, Germany; and Sikkema Jenkins & Co., New York. In his 2013 exhibition, Rendition, at the Logan Center for the Arts, Schutter transposed a scale model of room 224 of the Art Institute of Chicago’s 19th Century painting wing, and rendered the 4 paintings it contains. His work was recently included in The Way of the Shovel at the Museum of Contemporary Art, Chicago, and in group exhibitions at The David Roberts Art Foundation, London, where his paintings after Jacob van Ruisdael’s Haarlem circa 1670 were hung in conversation with Gerhard Richter’s Fuji; the Glasgow International Biennial, Scotland, in a segment curated by the painter Merlin James; and at Le Magasin, Centre National Art d’ Contemporain, Grenoble, France. Upcoming projects include Hyperions Jugend, a painting exhibition curated by the painter André Butzer at Hammelehle und Ahrens, Cologne, Germany; the exhibition, Der Kubist Marcel Duchamp mag nicht Malen at Galerie Thomas Schulte, Berlin, and a solo exhibition with Aurel Scheibler, Berlin in 2014. Disappearing Into Speech, Schutter’s essay on the paintings of Phillip Guston, will appear in Phillip Guston, published by Aurel Scheibler in 2014. Works in public collections include the Kupferstichkabinett, Germany; the National Gallery of Modern Art, Scotland; the Asger Jorn Museum, Denmark; the Art Institute of Chicago; the David & Alfred Smart Museum of Art, Chicago; and the Pennsylvania Academy of the Fine Arts, Philadelphia. Review of What is Not Clear is Not French at Rhona Hoffman Gallery.